Does anyone still keep a little notebook on their desk or in their bag to jot down to do lists, ideas, reminders, etc? I do. And if I don’t, I would feel uneasy. I love me a moleskine notebook b/c they are so thin, they can fit anywhere. I am all about minimizing and decluttering (although my house will not reflect this most of the times!). Keeping things neat and simple is such a challenge but it’s a goal that I TRY to strive for. 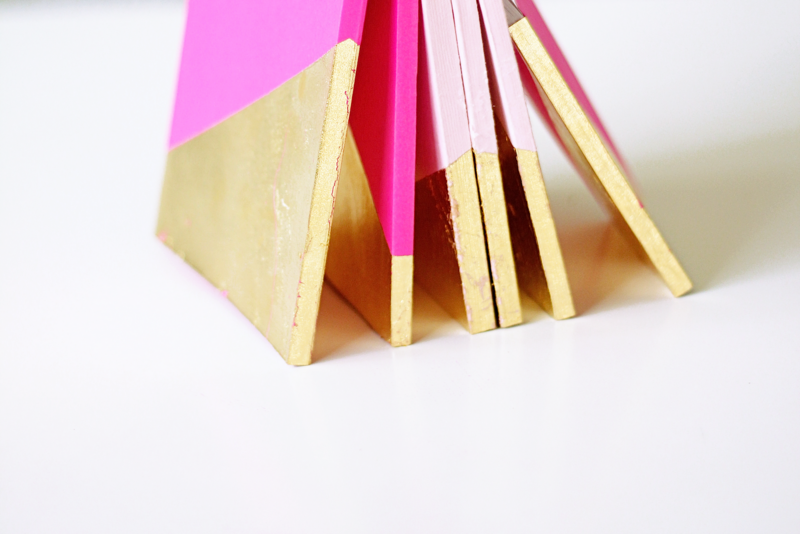 For all you notebook lovers and eager diy’ers, I have an incedible diy project for you! 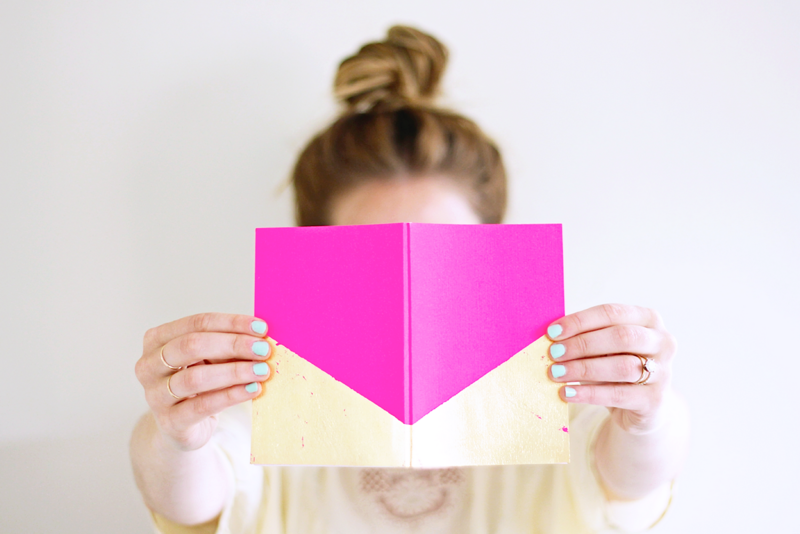 Gold dipped notebook from Whitney over at eatsleepcuddle. Whitney actually made the notebooks from scrap herself using scrapbook paper as the cover and printing paper for the inside pages. She used a gold leafing kit found here for the gold dipped look. Would this be something you’ll make? 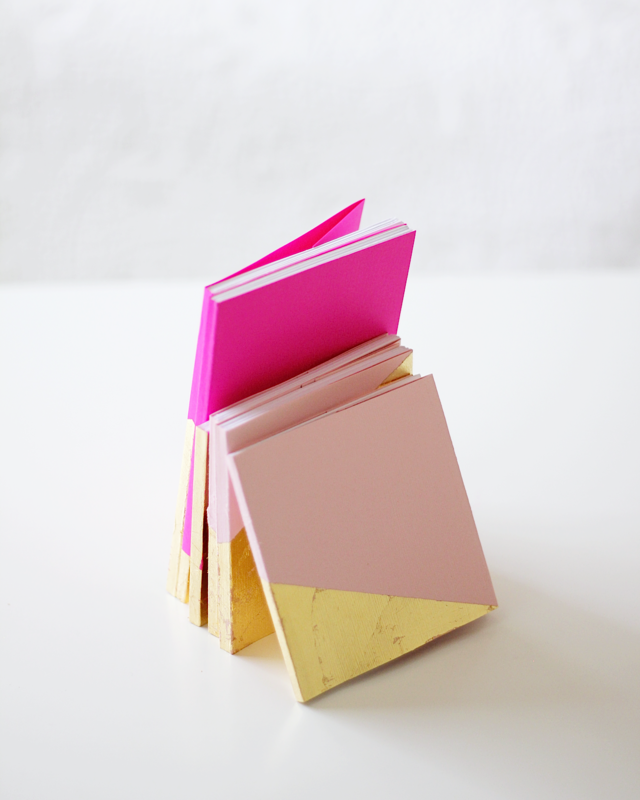 Gorgeous notebooks! I am a continuous list maker and keep a notebook with me at all times. I do prefer a pocket sized one though in case I don’t carry a bag with me. These gold dipped ones are gorgeous. Ooh I love these! I’m a reporter and I’m always looking for a way to jazz up a boring notebook. Cute! I blgoged about these exact notebooks last week. Nice. Of course you did! Great minds think alike! Have a GREAT day. Best, Kellie. What a fun project! I do like having a smartphone, but I still like to write things down and cross them off! I agree with mamacravings, these would make great stocking stuffers or desk gifts! I need a few for myself as well. Desk gifts would be PERFECT! Have a GREAT day. Best, Kellie. I agree! Have a GREAT day. Best, Kellie. Pretty! I would totally make this! Let me know how it goes when you do! Have a GREAT day. Best, Kellie. Excellent idea as a teacher appreciation gift! Have a GREAT day. Best, Kellie.